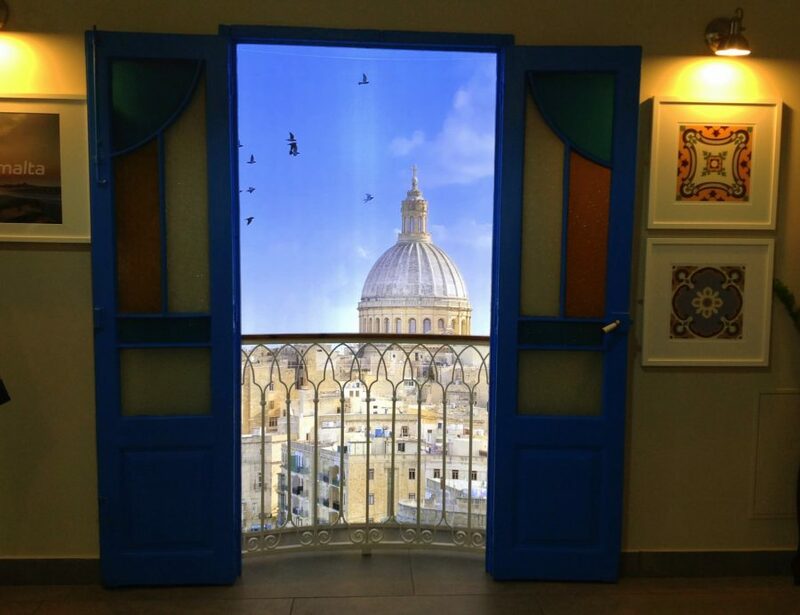 A glimpse of blue sky, a wisp of clouds, birds, cathedral and concrete buildings is what I see in painting along the hallway wall of Malta’s airport. Looking at the mural makes me want to run outside and feel that sultry air. This door opened more than what I expected. Little do I know that Malta is rich in art especially the masterpiece of Caravaggio, The Beheading of St. John The Baptist. Malta is another place of my pilgrimage never in my wildest dream that I will visit this place. I learned that this is where the famous art exhibit of The Beheading of St. John The Baptist painted by Caravaggio in 1608 at Saint John’s Co-Cathedral, a Roman Catholic place of worship dedicated to St. John The Baptist. The painting is not what I expected. I see King Herod. I see Salome with a platter. I see an executioner using a knife. No Herodias. No large crowds No dancing. No drinking. No party. What did I see? What does the painting say to me? What was Caravaggio thinking and feeling at the time he created this piece? The Cathedral is buzzing with people talking, comparing notes of what they see; guides explaining the history of Caravaggio; visitors taking photos. What did they see? This painting is spellbinding. Fixated by it, I stood there not paying attention to what others are doing and saying for I don’t want to be influenced by other’s thoughts and feelings. The painting raised some questions as I scrutinize every angle with straightforward questions. So little blood coming from the man, does it mean he’s still alive? What are those two legs sticking out underneath the red cloth? Why did Caravaggio sign the painted with the same color as the blood? Who is that woman with her hand on her face in horror? Who are those two people behind the iron window? Can a small knife really decapitate the head? Why not use the sword? These questions raised more questions as I responded to my inner dialogue with more interrogation thinking where is Caravaggio in his painting. * Is his signature an admission of his guilt for killing a man? * The legs sticking out, are these the legs of a lamb as part of the sacrifice of Jesus? *The woman stricken with horror, is this the Mother of Jesus? * The two people in the window, are these the two prisoners crucified with Jesus? * The knife and sword, are these what Caravaggio used in killing a man in Rome? This entry was posted in Art, Pilgrimage and tagged Art, Caravaggio, Contemplation, Lens-Artists, Malta, Pilgrimage, Reflections, St. John the Baptist, Sunday Snippet by Perpetua. Bookmark the permalink. Hard when there is too much crowd, Tina, similar to being focus in photograph. Your post on doors flung my mind out to my wildest imagination. You raise questions it would never occur to me to ask. It’s an exercise that sometimes I do when I look at a painting that moves me, active and contemplat iive.